Released in the early part of 2001, Train's second record immediately began selling the way Counting Crows' records used to sell, meaning faster than Tower Records could stock them. 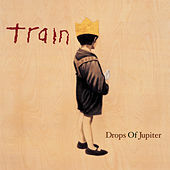 The band's time-honored formula for inescapable hooks and heart-tugging imagery is in full effect on Drops and the title track earned the group a Grammy for Best Rock Song. 2000, 2001 Sony Music Entertainment Inc.